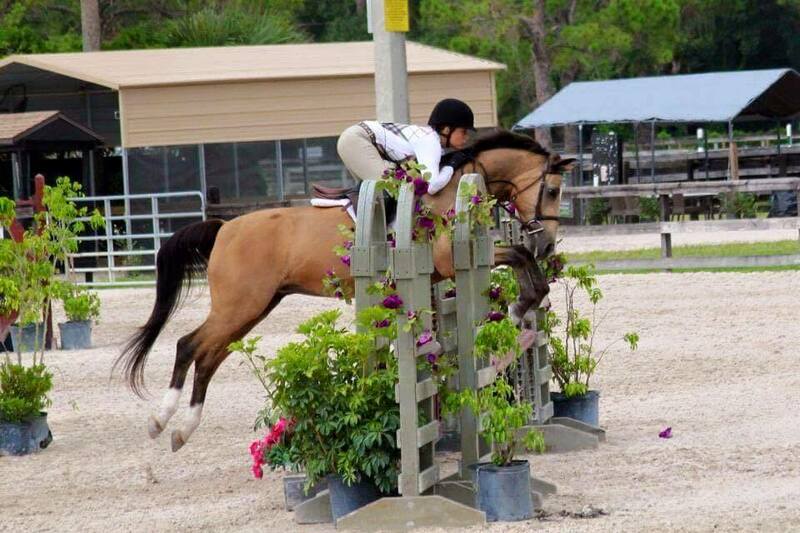 Tampa Hunter Jumper Riding Lessons Tampa Hunter Jumper Barn Coaching, Boarding Fl. Hunter Jumper riding lessons by Premier Hunters Tampa Hunter Jumper Barn. A family farm where relationships and bonds are made and nurtured. Premier Hunters offers hunter jumper riding lessons to boarders and Academy students as well as horse boarding, training, leases, sales, showing and an IEA team. We have a variety of Academy horse’s of all skill levels for those rider’s who do not own a horse. We teach riding lessons to ages 4 and up with convenient lesson times offered Monday through Saturday. Our riders participate in horse showing at three levels; non rated, rated and IEA team. In order to be eligible for our IEA team riders need to be in middle-school or high-school grade range. We take pride in the care of the horses, making sure they are kept fat and happy! Horses are turned out daily and stalls cleaned twice a day. Please feel free to contact us with any questions or to set up a visit. Thank you so much for stopping by our site. We look forward to adding you to our horse family. Please like us on Facebook to keep up to date with all our activities.